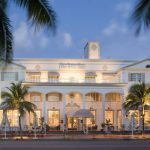 Just a few steps away for the powdery sand beaches of Miami, the 1 Hotel South Beach, located at 23rd Street on Collins Avenue, resides at the northern tip of SOBE. 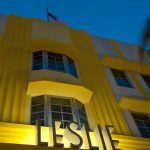 And, although a just a few blocks away from the iconic heart of the Art Deco district, 1 Hotel offers all the trendy vibe and luxurious amenities you would expect to find at a high-end hotel in the neighborhood. 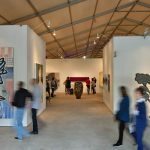 It serves as the perfect basecamp from which to explore and experience all the culture and eye candy that exists on every street corner in sultry South Beach. Better yet, the hotel has Tesla cars available to take you anywhere within a three-mile radius of the property so you’ll never be too far from any of the action but will enjoy peace and quiet when trying to get some shut eye. 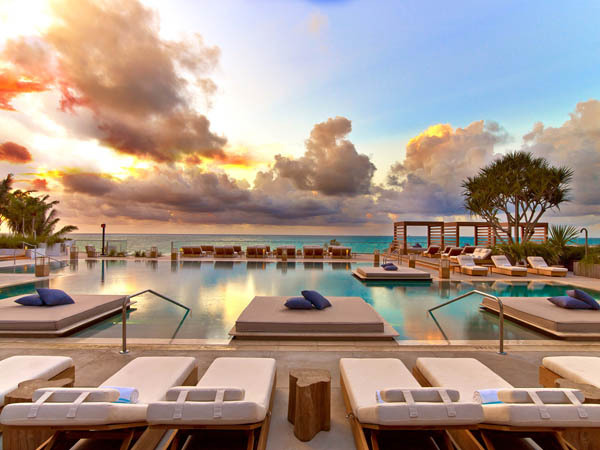 Formerly the Gansevoort, (and then the Perry), the 1 Hotel South Beach opened last year after an extensive renovation. 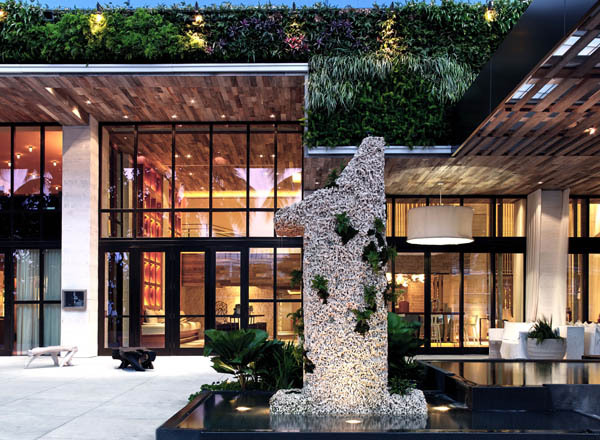 The building’s white façade and lush greenery welcomes guests with a sense of calm. 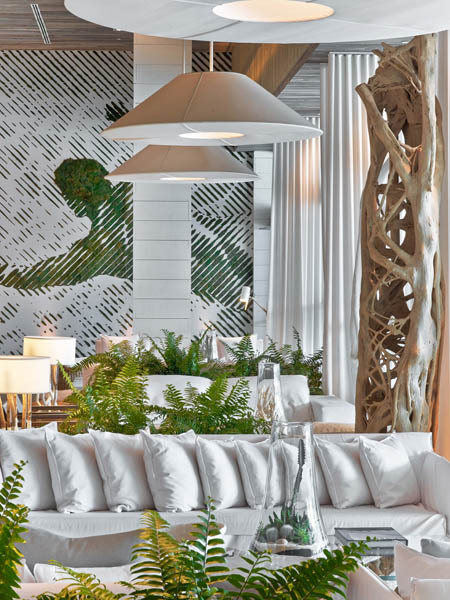 The entire 1 hotel brand itself uses eco-friendly practices whenever they can; evident from the moment you arrive with white and beige tones in the lobby, along with wooden accents, making for a tranquil setting while checking in. There are four pools located here as well as a kids’ club. 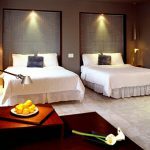 And, although all travelers will feel welcome, most of the guests tend to be couples. 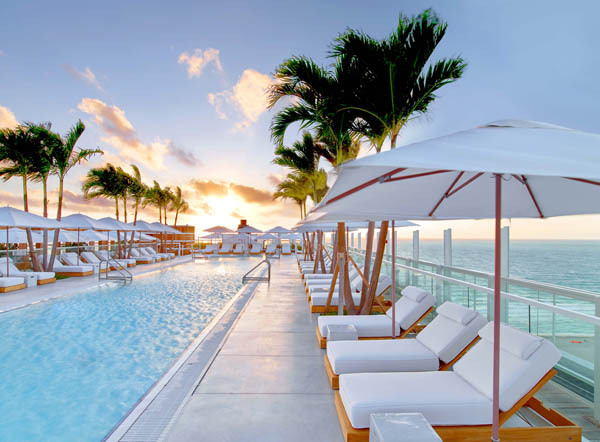 The rooftop pool is adults-only; always a welcome addition to any hotel, and their beach club stretches 600 feet along the Miami coastline. Rooms range from a 3,500-square foot Presidential Suite to a 700-square foot King Suite. 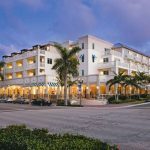 Some rooms have balconies with views of the glistening ocean but all rooms offer custom hemp-blend mattress by Keetsa, 100% organic cotton sheets, and a triple-filtered water shower system. 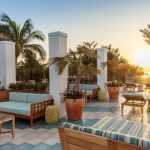 Last month the hotel unveiled their new rooftop restaurant concept: “watr,” South Beach’s first poke restaurant. Located 18 floors above the ocean, “watr” will specialize in sushi and poke, paired with exceptional handcrafted cocktails. At its helm, Executive Chef, Fernando Cruz draws inspiration from the hotels natural oceanic atmosphere. 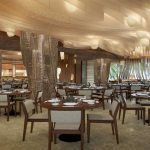 The menu features innovative Hawaiian-Japanese dishes with locally sourced seafood as a commitment to the hotel’s sustainability efforts. 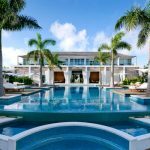 The rooftop restaurant will also introduce a dedicated Cocktail Pairing Connoisseur, who will create vibrant cocktails to enhance flavors and compliment the culinary creations. The restaurant is open for lunch and dinner and will including poke dishes such as octopus, salmon and tuna served with quinoa or brown rice. 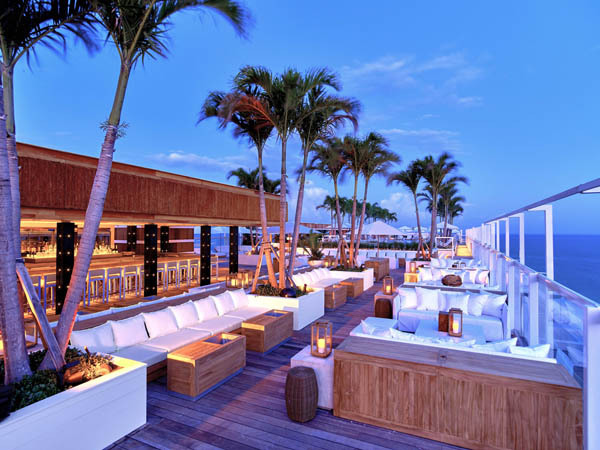 The alfresco setting adds to the entire experience and it’s sure to be a huge success on the South Beach scene.